In this fourth installment of my introduction as an IM-Home blogger, I share one more piece of the puzzle that convinced me that brain clock-based interventions hold considerable promise. In my first post I reported how my scientific skepticism initially kept me arms-length from an IM school-based study, the positive results which stimulated my subsequent search for scientific and theoretical research to explain the IM effect. This search resulted in the Brain Clock blog and the conclusion that synchronized metronome tapping and other rhythm-based interventions must be improving a central “jack-of-all-trades” cognitive mechanism (the topic of my second post). The recent IM-Home “Sound of Music” post, which was abstracted from a post at the Brain Clock blog, featured the link between rhythm-based music therapies and recovery from brain injury, in the case for Congresswoman Gabby Giffords. Research evidence that continued to “close the door” on my initial IM skepticism, and which now has me blogging at the Brain Clock and the IM-Home blogs and, more recently, has me near completion of the 15th session of my first personalized IM-Home phase of therapy, was the discovery of research that consistently demonstrated that the resolution of the human brain clock could be changed—it could be slowed down or sped up! The human brain clock could be fine-tuned. I was enthralled! As I will share in future posts, I have personally found that the IM-Home training places considerable demand on my working memory, executive functions and attentional control (focus). I have weaned myself from reliance on the visual feedback to focusing primarily on the auditory feedback. This was initially hard for me as I am a very strong visual thinker and processor. The switch to auditory feedback has improved my mental focus (sustained concentration and attentional control). But I digress. I will share these personal experiences, in the context of explaining the cognitive operations that I believe are being sharpened by IM, in future posts. It is fine and dandy to isolate a central brain clock important for human learning (or re-learning)–but such a discovery would hold little interest for me unless itled to practical interventions. Convinced that an internal brain clock mechanism existed, I sought rigorous research that demonstrated that the brain clock could be “fine-tuned”—resulting in improved human performance. My scholarly excursions revealed three classes of clock speed manipulation studies that showed that the speed of the human brain clock could be manipulated. In his introductory chapter to the edited book Functional and Neural Mechanisms of Brain Timing (2003), Dr. Warren Meck (Duke University; one of a number of Brain Clock mental timing scholars) summarized research that demonstrated that certain drugs could speed up the brain clock (e.g., cocaine and methamphetamine) and others could slow it down (haloperidol). These drugs impacted the perception of time by increasing levels of dopamine in certain regions of the brain to speed up the clock’s pacemaker or blocking dopamine receptors to slow down the clock’s pacemaker. I shall talk more about the role of dopamine in future posts as it is an important cog in the operation of the brain clock. In her chapter in the Meck edited book (Temporal Experience and Timing in Children) Sylvie Droit-Volet reported research that children as young as three years of age display evidence of a functional brain clock. More importantly, on a demanding time perception task, Dr. Droit-Volet demonstrated that by immediately preceding the presentation of the task with repetitive click’s or flashes, it was possible to improve the young children’s performance on the timing task. It was hypothesized that the repetitive sensory stimulation preceding the timing task increased the arousal and attentional resources of the children, which in turn increased the accuracy of mental timing. I saw this as an important finding as it is a non-drug based method for fine-tuning the human brain clock. Finally, although one should never attempt these experiments at home, another designated Brain Clock Mental Timing Scholar, Dr. John Weardon, has reported in a number of papers and book chapters (click here and here) that as early as 1927 and 1933 experiments in raising and lowering a person’s body temperature produced cognitive timing behavior consistent with a faster or slower clock speeds, respectively. Although man’s interest in time has been present since the late 1700’s to 1800’s, early research was lab-based and had little practical impact. Furthermore, manipulating body temperature or administering drugs to improve the resolution of the brain clock, although possible, suffered from many moral and ethical issues. 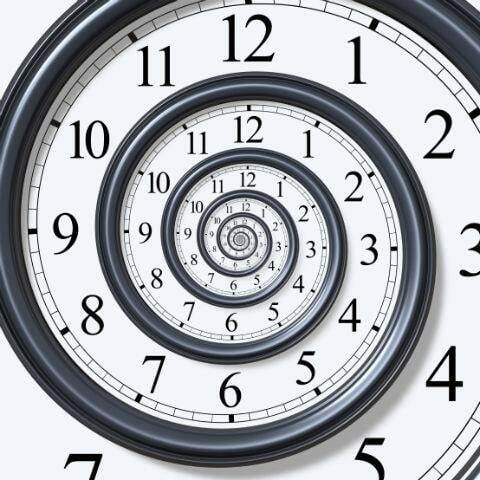 Fortunately, “more recently, time perception has become a major object of research in the field of the cognitive neurosciences (see Lewis & Miall, 2003; Nobre & O'Reilly, 2004). According to Dr. Weardon, “the last 20 to 30 years have seen a mini-‘Golden Age’ in the study of time perception in humans, with many fundamental processes being elucidated for the first time, and major discoveries made.” Clearly the clock speed manipulation studies reported above have benefited from the increased contemporary focus on the human brain clock. As I will articulate in future posts, it is my working hypothesis that numerous emerging brain training or brain fitness neurotechnologies and interventions, although focusing on similar and dissimilar cognitive abilities and brain mechanisms, may all be impacting (to different degrees, directly or indirectly) the human brain clock. My interest in rhythm- and metronome-based technologies is grounded in the belief that the brain clock is central to many important human cognitive and motor abilities. Therefore, we should make the most efficient use of our “time” and investigate the merits of neurotechnologies that have at their core a focus on brain and motor rhythm and micro-second timing. Go directly past Go… go directly to the brain clock.